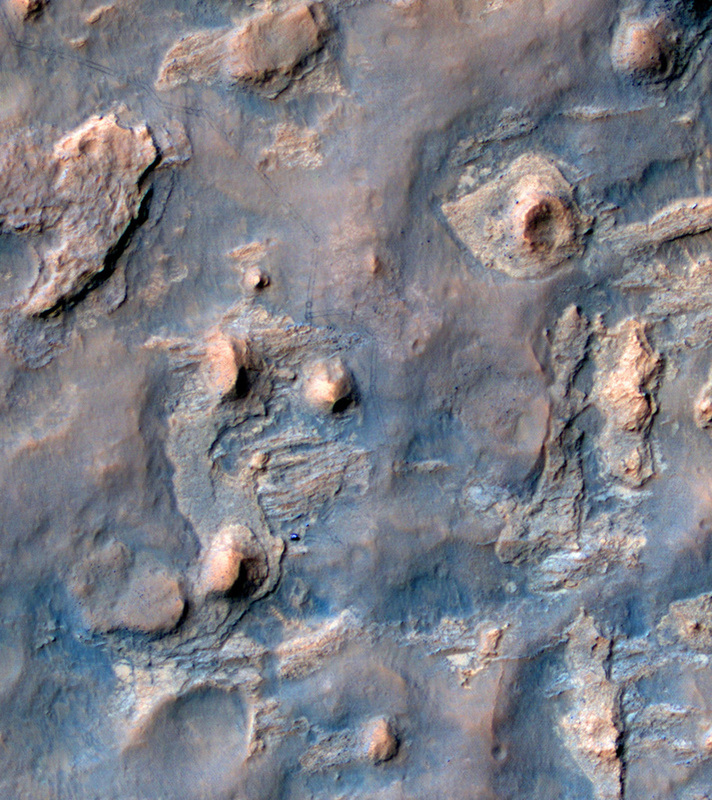 NASA announced the Landing Site for the Mars Science Laboratory Mission on July 22, 2011. 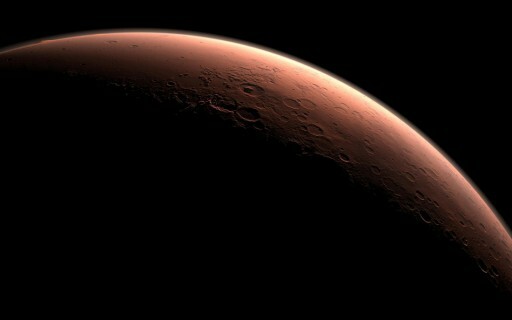 The Mission will target the Gale Crater to be its landing site. The Mars Rover will explore the lower portions of a 5Km mound of stratified materials that scientists are interested in. Variations in texture, appearance and mineralogy that have been observed suggest that those materials include the record of Martian history from a geological and climatic standpoint. The landing site selection process occurred from 2006 to 2011 and included numerous proposals and workshops. The actual landing site will drive the entire MSL mission and strategic mission operations. While selecting the site, ideal landing site resources and requirements were constantly looked at. Those include evidence of a certain extent of habitability (past or present), meet all engineering and safety policies and allow operational performance. Meeting those requirements depends on geological, chemical and mineralogical properties. Also playing a large role for rover operations is the terrain of the landing site. In addition to that, climatic conditions have to be within the thermal requirements of the vehicle at all times. A series of community led, open workshops have been conducted in parallel with rover development. A Landing Site Steering Committee that was co-chaired by Dr. John Grant of the Smithsonian and Dr. Matthew Golombeck of NASA’s Jet Propulsion Laboratory, organized and led the workshops. Those were held in 2006-2008, 2010 and 2011. Over 60 potential landing sites were considered and eventually narrowed down to a list of four. 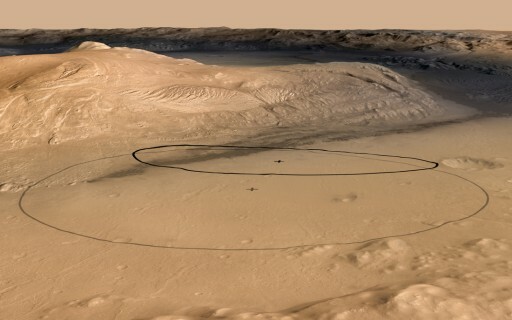 The final landing site was announced after the final workshop and when analyses by the MSL mission team were complete. The MSL rover was designed without a particular landing site in mind so that the rover can access more of the Martian Surface. The vehicle can tolerate a broader spectrum in environmental conditions and the process of selecting a landing site could be extended and occur later in the mission design procedure. 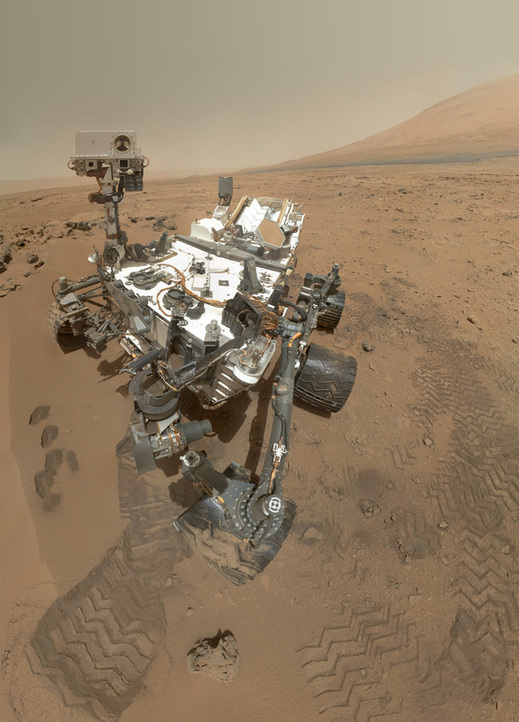 A decision was made to land the MSL Mission at the Gale Crater which is at 4.49°S and 137.42°E. 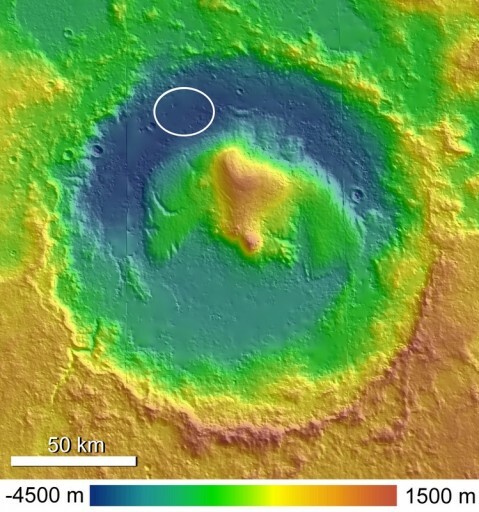 Within Gale Crater, a mountain raises up to 3 miles above the crater’s floor. 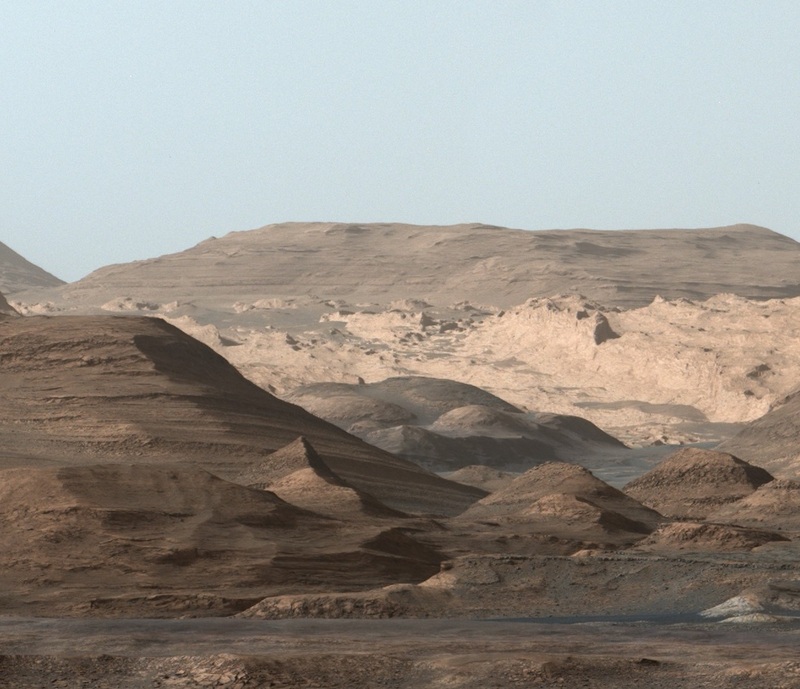 That mountain will be explored by MSL to examine a record of the Martian Evolution. 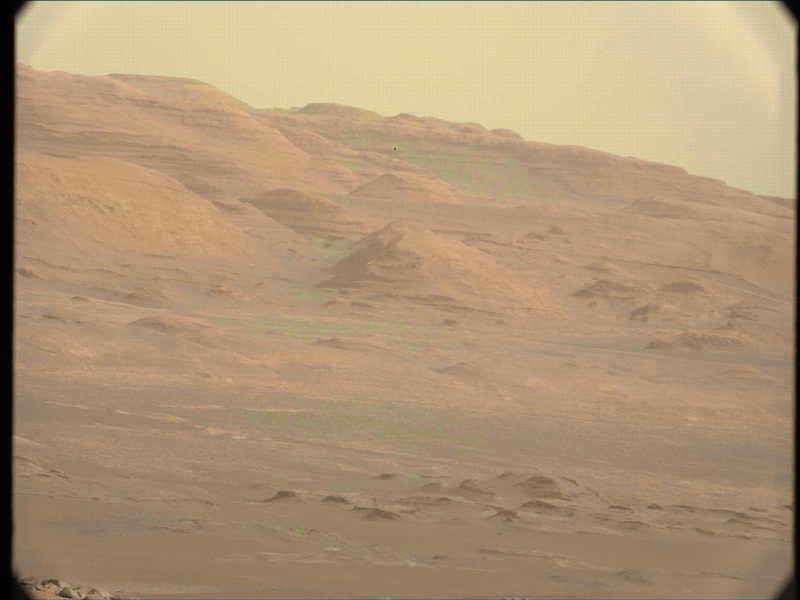 Curiosity will land on a smooth region in front of the mountain. The landing site is elliptical (6.4 by 19.8 Kilometers) and allows allows a safe landing even at the highest error rate in the descent and landing sequence. Gale is believed to be 3.5 to 3.8 billion years old. The crater has a span of 154Km. An unusual feature of Gale that played a large role in its selection is an enormous mound of debris that is slightly taller than the southern rim of the crater itself. This material is expected to have a history of 2 billion years conserving a large record of Martian Evolution, both geologically and atmospherically. The exact origin of that mound is not completely known. Scientists suggest that it is the eroded remnant of various sedimentary layers that once filled the crater entirely, probably deposited on a lakebed in its original configuration. The material may have been layered by winds or volcanic ash falling from the sky. This would enable MSL to identify sediments that have formed or have been altered in the presence of water. Gale is sitting at a very low elevation position on Mars (at –4444m). The vertical profile that is exposed causes attraction similar to that of Mars’ famous Valles Marineris Valley that is the largest canyon in the solar system. Gale holds a diversity of features and layers for investigating changing environmental conditions which will provide extensive information on the Planet’s habitability, past, present and future. Through the mound’s layers, a number of channels track along which are the features that have formed most recently. These channels are up to 250m deep and 2Km from side to side presenting different layers on orbiter photography. These channels might offer a chance to explore the past of the Planet’s evolution. The channel is lower and lies on a gently sloping pile the are suspected to have washed down the channel.